Ever wondered if you could surprise your loved one with a blast by giving them a surprise birthday party? 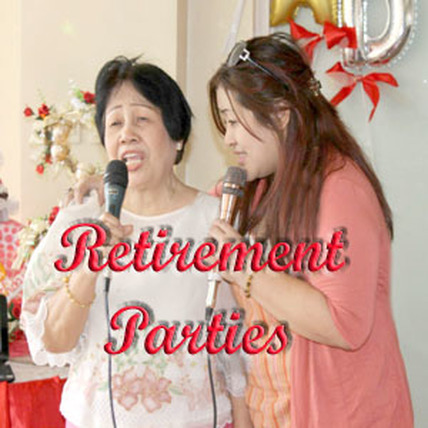 Try our elegant retirement party that is complete so no more worries and hassles on preparation stage. 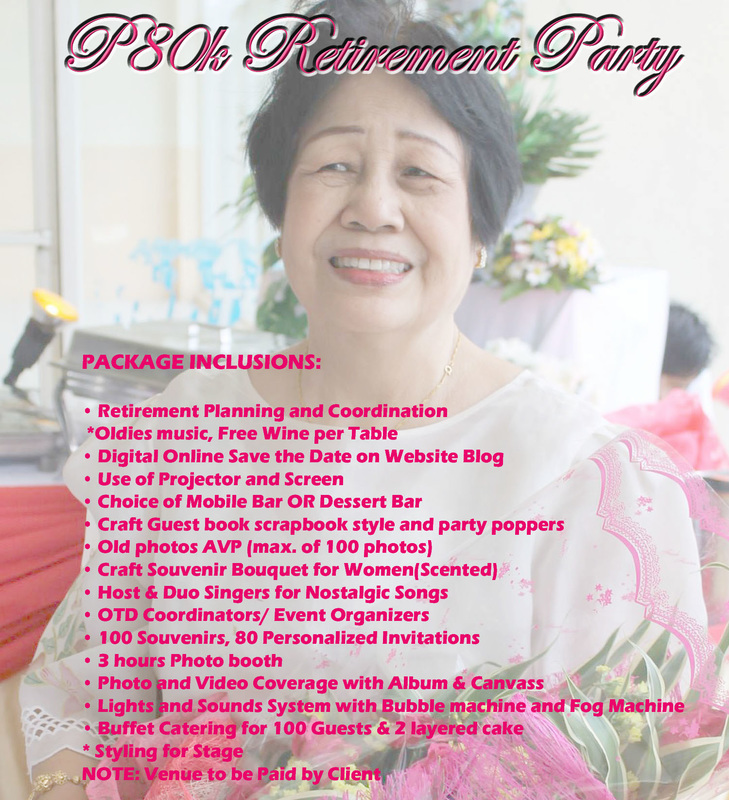 ​Let Cherish The Treasures Events Services handle your special day by preparing everything from execution of Program Flow, AVP of old photos to be shown on wide screen and projector to the invitations, souvenirs, photo and video coverage and of course, the awesome sumptuous food! 50% DOWNPAYMENT (NON-REFUNDABLE) MUST BE MADE UPON CONTRACT SIGNING. EVENT. PLANNING STARTS SOON AS PAYMENT IS MADE FOR BOOKING PURPOSES.